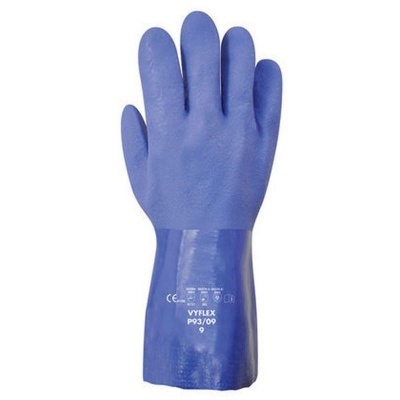 The Polyco Vyflex PVC Chemical Resistant Gloves P93 protect against oils, acids and other chemicals. While they are highly dexterous and flexible, the glove has a high tear and abrasion resistance level which means it is suitable for a range of applications including chemical handling and engineering work. The Polyco Vyflex PVC glove performs well in protecting the wearer against oils, acids and other chemicals. Furthermore the glove is fitted with a 30cm long forearm, which gives the wearer additional protection when handling dangerous products. 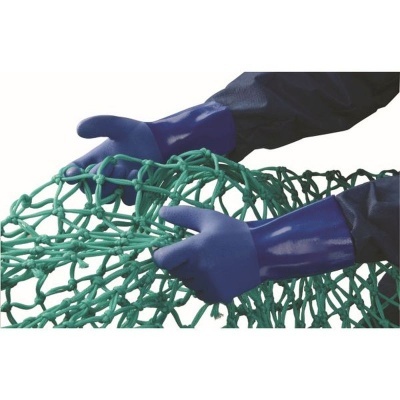 As the gloves are fitted with a granular non-slip finish, it means that they are ideal for carrying dangerous products in wet and even oily conditions. The gloves are specially designed to be incredibly comfortable to wear. Their fine knit seamless liner and anatomical shape increase comfort, whilst the highly flexible material reduces hand fatigue and increases dexterity. Lastly the gloves are Actifresh treated, so that they stay fresh for longer and they are latex free so that they are suitable for people with allergies. 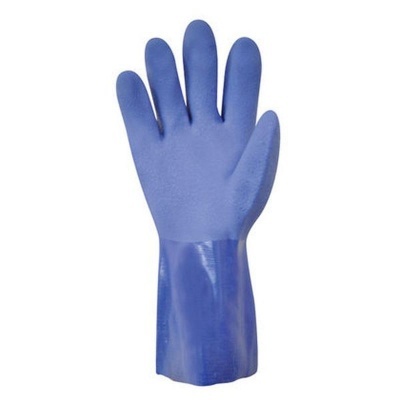 The Polyco Vyflex PVC Glove is available in two sizes that should suit the hands of most users. Please measure the circumference of your hand around the knuckles (excluding the thumb) with your hand open and your fingers together, and the length of your hand from the tip of your middle finger to your wrist.